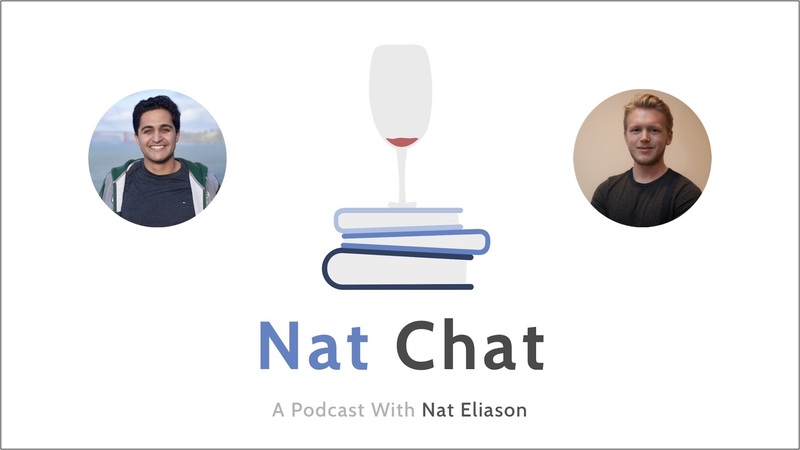 For the first real episode of Nat Chat, I sat down with my close friend, housemate, and co-conspirator on countless projects, Adil Majid. Adil had an unconventional and wide-ranging college experience that would give reassurance to anyone who feels like they don’t have a plan. After spending his first two years focused on a more traditional consulting career path, he decided it wasn’t for him, and started working on a number of other projects. Those soon led to getting into Y-Combinator, and when he had to leave that project (it’s a fun story we cover in the episode), rapidly teaching himself design, taking on freelance projects, and eventually landing internships and work with silicon valley startups that led to his job now doing software design for Spire. And a ton more. It was a really fun way to start the show off, so please enjoy, and reach out to Adil on Twitter! 2:22 – About Adil, who he is, what he does, and where he is in life right now. 3:00 – Adil’s beginning passion with design and his self-taught rise in design work. 5:47 – Adil dealing with the expectations of his peers and parents. 7:28 – How Adil’s habit with design began and his start on following his passions instead of his peer’s expectations. 9:32 – When Adil realized work in design was a legitimate career path for him, then switched from business and politics to design. 11:24 – Adil meeting his first mentor on his internship at a startup and then pursuing design work. 12:24 – How he improved his skills in design. 13:47 – How finding mentors, taking certain college classes, doing freelance projects, reading books, and online feedback really helped him gain expertise in design.16:14 – How Adil found his freelance clients and how he figured out pricing for his first jobs. 19:05 – Which college classes aided Adil the most and how the environment at college helped him. 21:03 – Adil on leaving for a semester, parental and social pressure with switching his career path. 22:30 – How Adil learned more on his college leave, than he had learned in the two and a half years he spent at college. Adil also discusses dealing with peer judgment here. 27:20 – Adil on being self-taught and having success versus success with a college education. Adil also on being fearful of failure in the design career field. 30:05 – How Adil found jobs in design. 35:34 – Things that helped Adil through college when faced with uncertainty in design and not following the traditional path. Adil and Nat also talk about the parental concern with financial security after college. 42:25 – Adil talks about the design recruitment and having a degree versus not having one. 45:35 – Adil speaks about techniques to overcoming depression during college, the numerous rejections from employers, and insurance to fall back on after college. 52:34 – Adil on being happier during college, making the most of it, overcoming challenges, and benefitting from failure. 56:45 – Nat and Adil on knowing when to quit projects or startups that may fail. 1:01:39 – Adil’s advice for new students and information to people with the design career in mind. If you enjoyed this episode, don’t forget to subscribe for future episodes wherever you get your podcasts!